These pictures seriously melt my heart. 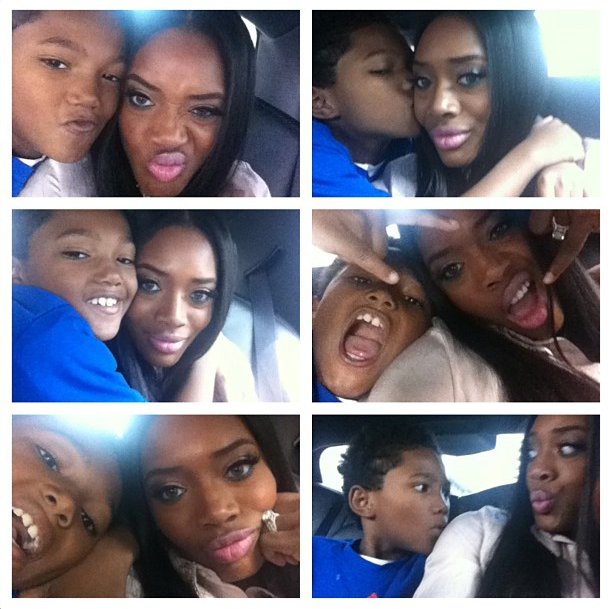 Ex-Love & Hip Hop star Yandy Smith spent some quality time with her fiance's son the other day. While the love of her life (lol) is still locked up behind bars, Yandy has been holding down the fort and taking care of her fiance Mendeecee Harris' son from a previous relationship as well as the child they have together. Mendeecee's bail hearing is schedule for tomorrow, September 11th and rumor has it that he and his lawyer are aiming for a plea deal. In case you forgot, dumb dumb Mendeecees is facing cocaine trafficking charges. Yandy is lame for staying with Mandeecees. I can't believe he's still in jail right now.